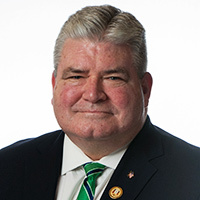 Bipartisan legislation sponsored by Senator Steven Oroho (R-24) to update and streamline the electronic bidding process for public works projects of significant value passed the New Jersey Senate. Oroho’s bill, S-3137, known as the “Electronic Bidding Construction Act,” would require public contracting agencies contracting for public works projects to use electronic procurement technologies on public works construction projects when the project’s value is over $5 million. The legislation would also require the State Treasurer to publicize regulations to accomplish the electronic procurement of public works as required by the bill. The regulations must set forth all step the treasurer deems appropriate to be taken by each public contracting unit when a public works project’s value exceeds $5,000,000. The regulations must also create a method to be followed by a public contracting unit for the awarding of a contract for the administration of the electronic procurement process, and all aspects of electronic procurement.